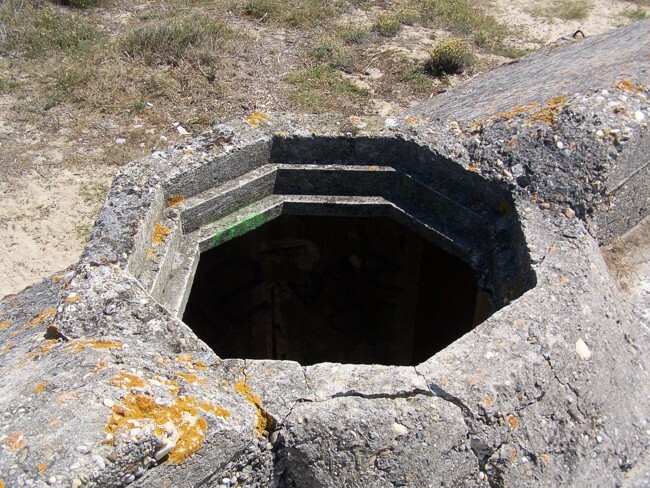 This strongpoint (Gi 307) was also called battery Arros or battery Soulac sur Mer. You can visit the battery freely and it still has all its bunkers. This makes a visit worth your while. Highlight is the very rare hospital type M159, which still has all the innerwalls and shows many details. The battery was manned by the navy and had 16,47 cm Mle 1887 guns, in bunkertypes M 270. The Tobruk on a M 270.